In desperation to get a seat in train many people are now looking towards seats available under tatkal quota of railways. Due to heavy rush and advance reservation in trains the availability under other normal quota's is already showing 'Nil' or 'Not Available'. 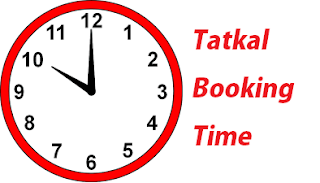 As we have already discussed before that tatkal booking provides last minute opportunity for those travelers to get a berth in a train who couldn't get a seat booked earlier. But these days even the number of people attempting to do booking under tatkal quota is quite big. Due to this rush many people are looking for the availability of any tricks or some software that allows them to do booking before anyone else can do it. Basically people are looking for a software that allows them to book tickets before IRCTC tatkal booking time starts. Booking time is 10 AM ( starts 1 day in advance) as we all know. Question is - "Is there any tatkal booking software?" or "Can I book tickets before tatkal booking time starts?" People are already aware of IRCTC autofill that speeds up reservation process. But is there any software specifically for doing tatkal booking. And if it is there from where one can download it and use it. It is our duty to tell you that there is no legitimate software available that allows you to do tatkal ticket booking before it starts. As far as tricks are concerned, there are few that are available on internet, but we seriously caution you against using them. It is against the railway rules and regulations. In fact, if you get caught you might get punishment - get imprisonment for doing so. Never try any dirty trick to book railway tickets before the reservation time starts. But there are few things that you can do. This includes good preparation. Get ready with all the details about the reservation - like passenger details, make sure that your internet connectivity is smooth and there is nothing that will interrupt the tatkal ticket booking process. For payment choose paytm or COD option to save time. These tips along with tricks for booking train tickets faster on IRCTC will help you in a long way to get a confirmed ticket under tatkal quota.